No other… – …STILL CRAZY AFTER ALL THESE YEARS! Well, where my dad is concerned, no other place does it better! 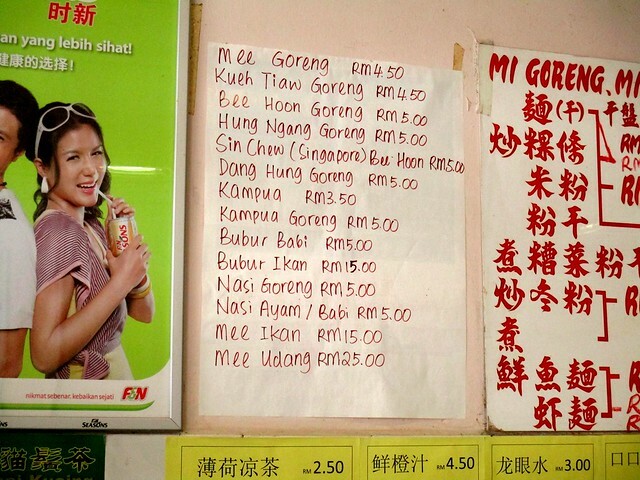 …and you have to add an additional 50 sen for the extra char siew on top. Yes, the prices are generally higher than most but unlike the regular coffee shops around town, the place is air-conditioned plus what they dish out is pretty good, worth that extra bit that you would have to fork out. …was RM5.50 a plate though – the regular fried kway teow is RM4.50 like the noodles and one would need to pay 50 sen extra for the tomato sauce used and another 50 sen for the extra char siew on top. 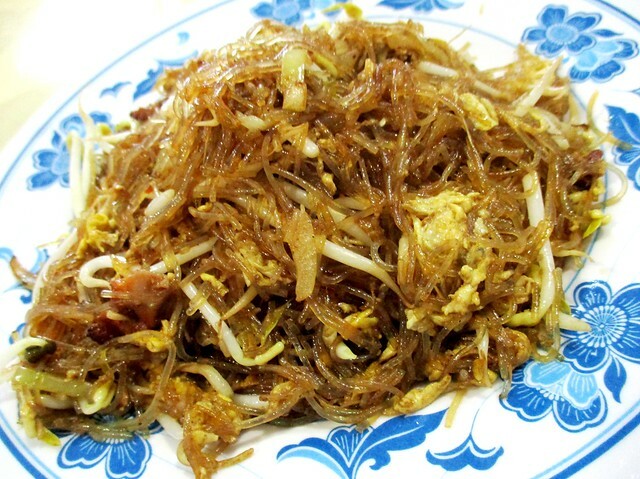 …is thicker than the thin and smooth and translucent ones in the peninsula which I would prefer especially for kway teow, fried dry but I do know some people who like the one we have here more. She said she had never tried it before but looking at my old post here, actually, she did! Hmmmm…probably a prescription of gingko nuts is in order. Hehehehehe!!!! …and yes, my missus said it was good. …that she had had before and enjoyed a lot. It was not dark – our guess was that it did not have soy sauce in it or not very much, at least, so it would not be loaded with gluten, all right for her to have it. …RM4.50 plus 50 sen for the char siew on top. She said it was nice but I do recall trying it once and personally, I would rather go for the tomato version. …and yes, it was very good, so very fragrant with the lard used in the tossing and the complimentary soup was nicer than what you would get elsewhere though not as nice as some of those that I have had at some Malay food stalls. Well, my mum has yet to be discharged from the medical centre so we would have to take care of my father too and take him where he wants to go in the morning and needless to say, the people here would be getting to see quite a lot of us round this time. Y2K Cafe (2.294220, 111.825753) is located in the Tunku Osman area, round the corner from that block of shops where branches of AmBank & RHB Bank are located. The back entrance actually faces the side (right, not the main one) entrance/exit of Methodist Secondary School. Drooling. Everything is good here. I like all the dishes. My favourite is tomato kway teow. I personally like the thinner kway teow. That’s a Kuching dish, loved it so much at a few places in the 70’s, the roadside stall at Palm Road, Lao Ya Keng… They had prawns and sotong in theirs then, dunno the present ones. None here, of course…and only a few places can do it really well – most would have too much tomato sauce, way overpowering. Not only the food is great, so is the handwriting (2nd pix), so neat & tidy. It reminds me of my son’s handwriting. Yes, you hear me right…my son. 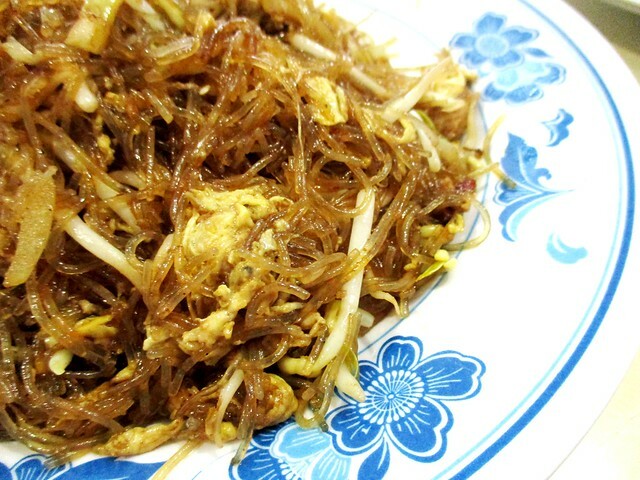 Yup, that tang hoon looks good, but sambal belacan is a must to go with such dish! Lapar, lapar, lapar. Hehe. I loved the handwriting on the menu. So neat. I did find students with really nice handwriting, even the boys…and some did go on to become doctors, no cakar ayam. 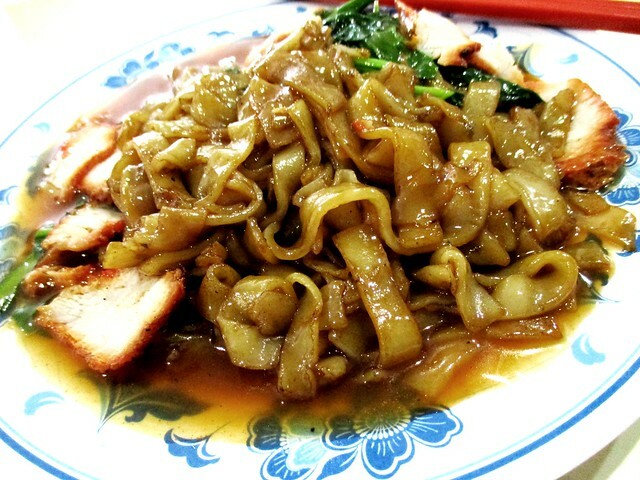 The kway teow dishes look very good, and so does the kampua noodles! I guess my dad knows that he can count on the people here to dish out all the great stuff everytime. Did Uncle tell you where and what he wants to eat next? 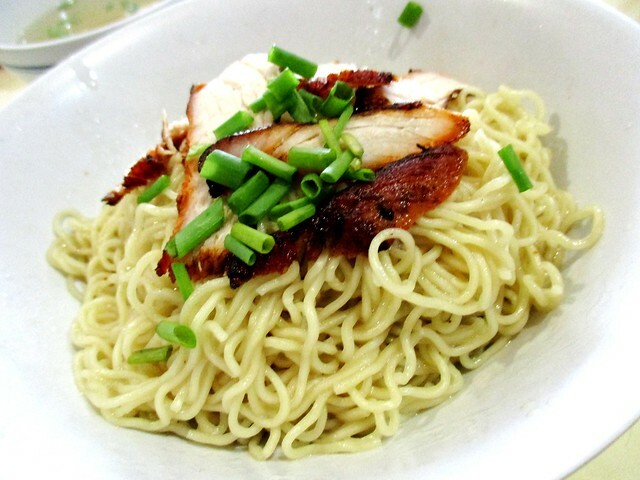 He will tell you where and once there, he will order himself – the same thong, fried noodles with char siew added. Me! Me! 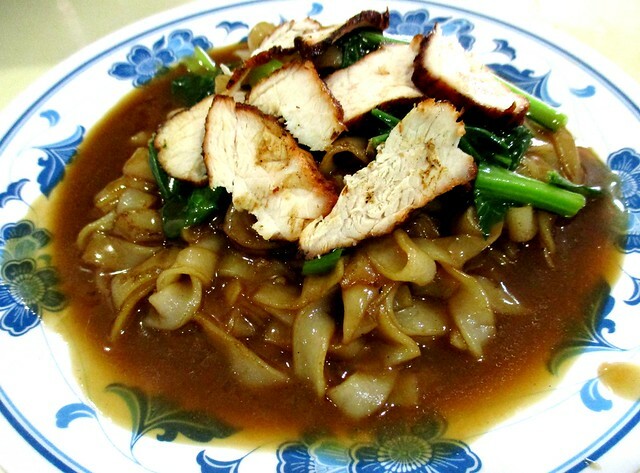 I am one who likes to eat thick kway teow. Does your tomato kway teow have any wok hei? since from the photos, I see the kway teow seems to be stir-fried separately before the tomato sauce is poured over it. That’s the way they do it for the regular fried kway teow with sauce too and also the fried noodles. They fry the noodles first, sometimes lightly burnt a bit and that gives it its wok hei fragrance. 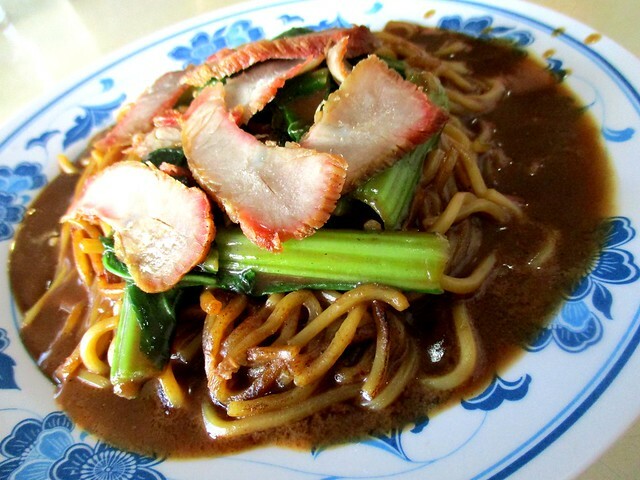 The noodles, they may put it into the sauce for a while before serving, hence it is also called char chu mee, fry and cook noodles. The soup version is cooked the same way, I think – just add more water for the soup. You will never get that at the Malay places as they use a gas stove, just like me at home. The fire is not big and hot enough. 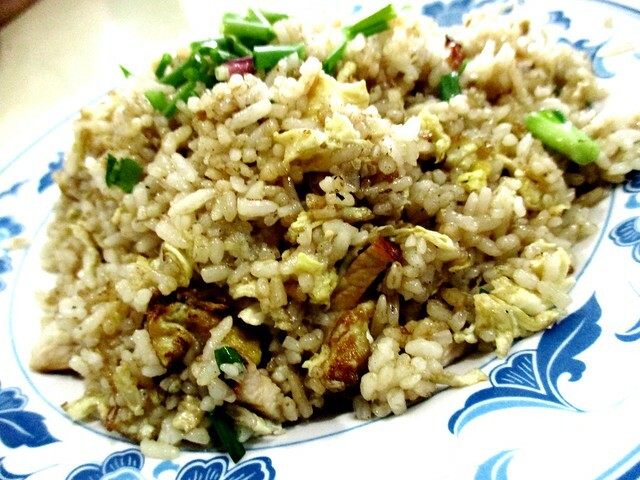 You have thick kway teow there? I thought only here. Wow! That’s thick and broad – they do not cut them into narrow strips, like our kueh chap…maybe even broader! Some people over at your side told me their fine and smooth and translucent kway teow that I like a lot is what they call hor fun…but then I find that even the Penang char kway teow has that same texture that I like…and they call it kway teow. Never mind, what’s in a name! All of you did a great job looking after your mother. When bedridden, it is easy to get bedsores (pressure sores) which can be fatal if the bedsores get infected. We bought her that ripple mattress right from the start and took care of any sores that might appear. So far so good, been around 10 years. Dunno of any that make their own, the ones making that here are all small shops, little cottage industries, no large scale production…or not any that I know of. Maybe the market is small, not worth setting up a big factory and nobody buys your product in the end. Maybe that is why our kway teow is thick – done manually, not as fine. Pingback: As you wish… – …STILL CRAZY AFTER ALL THESE YEARS! Pingback: The day… – …STILL CRAZY AFTER ALL THESE YEARS! Pingback: Go where you wanna go… – …STILL CRAZY AFTER ALL THESE YEARS! Pingback: Even less… – …STILL CRAZY AFTER ALL THESE YEARS! Pingback: Here without you… – …STILL CRAZY AFTER ALL THESE YEARS! Pingback: Second time… – …STILL CRAZY AFTER ALL THESE YEARS! Pingback: We are not alone… – …STILL CRAZY AFTER ALL THESE YEARS!